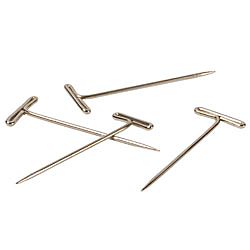 Believe it or not, these pins are one of the most important elements of our set designs. We use them for everything; holding our backdrop in place and pinning elements to the backdrop to create the set. It is important to get the 2” pins so that they will go far enough into the foam core to hold the design elements in place.